Groove Theory, Eric Bellinger Ft. Fetty Wap & 2 Chainz, Papoose Ft. Ty Dolla $ign & Remy Ma, Gunplay ft YG, DJ Mustard and more. 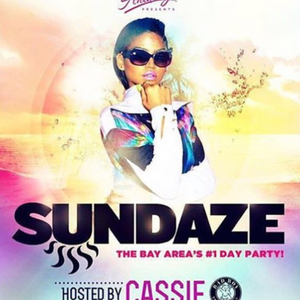 Anthony Presents: The Sundaze Mix Volume 2 featuring Cassie, Troy Ave, Future, Drake, D.R.A.M, YG, Ty Dolla Sign and Wiz Khalifa. Mixed Live at Sundaze SF at the End-Up.